Gathering data in industrial environments typically involves the interoperability of numerous devices employing different and incompatible protocols. To ensure a solid Industrial Internet of Things (IIoT) foundation, a protocol conversion gateway is vital to meeting end-host requirements for delivery of data between different components. Mediate between incompatible protocol models with Red Lion. 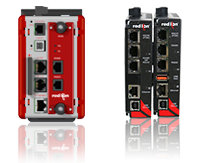 Founded in 1972, Red Lion has over forty years of expertise working with numerous devices and diverse protocols, networking both multi-vendor and legacy equipment to access data. By gathering data from both new and legacy devices, organizations can gain a competitive advantage by leveraging that information to influence decision-making and improve efficiency while protecting existing investments and increasing system performance. Our Graphite HMIs, Data Station Plus and ProducTVity Station simplify protocol conversion, enabling customers to do MORE by seamlessly connecting, monitoring and controlling devices across the infrastructure. The Data Station is designed to act as the factory floor hub for industrial data collection and management. Providing multiple protocol conversions, data logging and remote machine access via a built-in web server, the Data Station also includes Red Lion’s powerful Crimson® programming software that features a simple drag-and-drop, point-and-click configuration. With three serial ports and one 10/100Base-T(X) Ethernet port, the Data Station allows disparate devices to communicate seamlessly, regardless of manufacturer or cable connection, compiling data into a single CSV-formatted file, where it can be stored, displayed, emailed or automatically synchronized. The Data Station is the most powerful communication platform available today! Learn More. 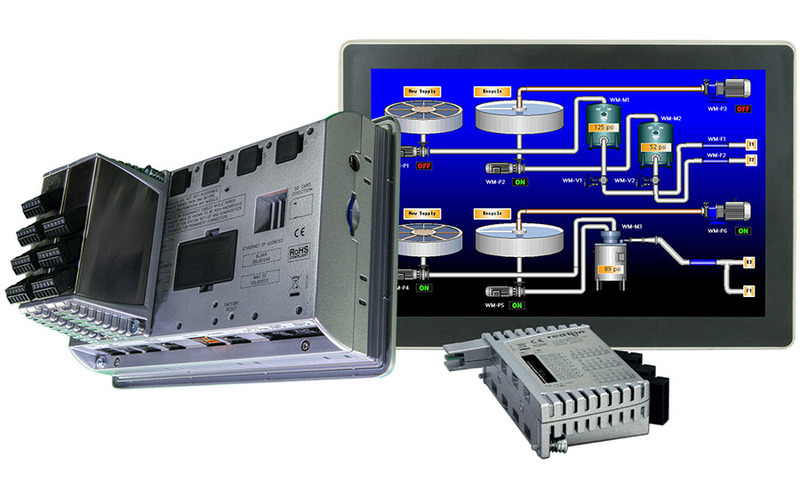 Comprised of the industry’s first rugged HMIs and controllers to combine I/O modules with built in protocol conversion, real-time data logging, web-based monitoring, and IEC 61131 control capabilities, the Graphite® Platform provides innovative technology in a robust, easily installed, all-in-one-solution. Available in eight different sizes and boasting sleek full-color and outdoor sunlight visible touchscreens, the cast-aluminum housing and CE and UL/cUL hazardous approvals make the Graphite® platform ideal for both indoor and harsh outdoor industrial applications where operating temperatures vary widely and tolerance to high shock/vibration is necessary. Further, the Intuitive drag-and-drop graphical Powerful Crimson® Software with Crimson Control eliminates the need for third-party software. And with a wide variety of Graphite plug-in modules and expansion racks, capabilities can be extended seamlessly! Learn More. Driving efficiency and productivity has never been easier. 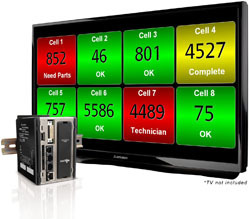 The ProducTVity Station is a ready-to-deploy plant floor visual management system that displays real-time Key Performance Indicator (KPI) data and Andon messages on large televisions or projectors in multiple locations throughout a facility for all to see. Using a built-in library of over 300 industrial protocols facilitating connectivity to almost any plant floor equipment, the ProducTVity Station dynamically delivers unmatched visibility into process and equipment performance in manufacturing environments. And with Crimson® software, you have all the tools necessary to quickly, easily calculate stunning scoreboards in mere moments. Connect, collect, create & display today! Learn more. Red Lion IoT connectivity protocol conversion solutions connect many different devices, including legacy equipment, facilitating communication between components previously impossible. Improve efficiency. Increase productivity. Gain a competitive advantage. Ensure connectivity with Red Lion Protocol Conversion today.